Coffee is something you will always find in my kitchen. 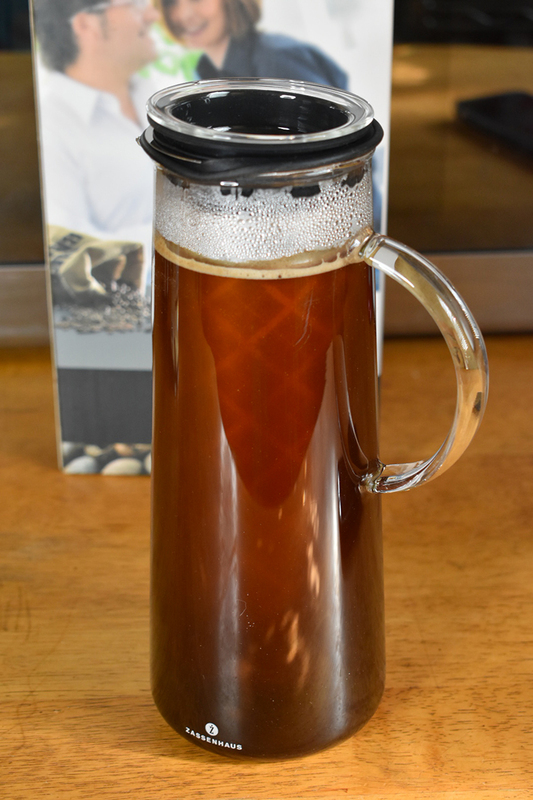 For years I used just a coffee maker but recently I have been making my coffee with the Zassenhaus Aroma Brew Maker, a HOT and COLD brew infuser that combines tradition with a modern design. 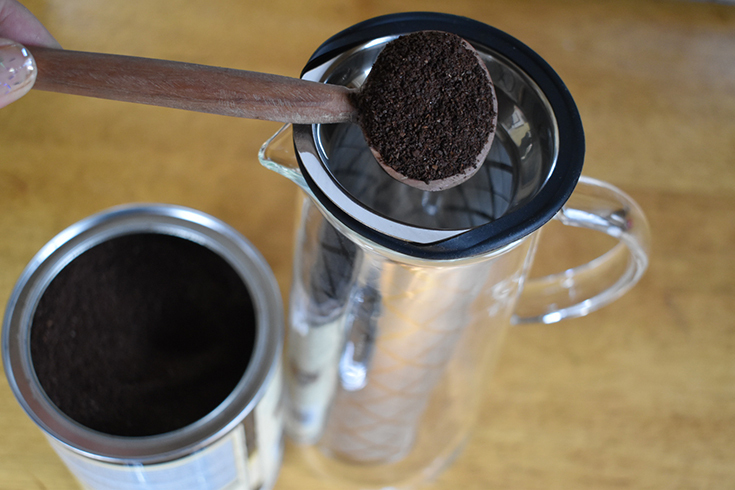 With the Zassenhaus Hot & Cold Brew Infuser you don’t have to worry about coffee filters. This coffee maker comes with a stainless steel micro filter that allows the coffee to drip through the filter into a cute and stylish glass job that is made from borosilicate glass. 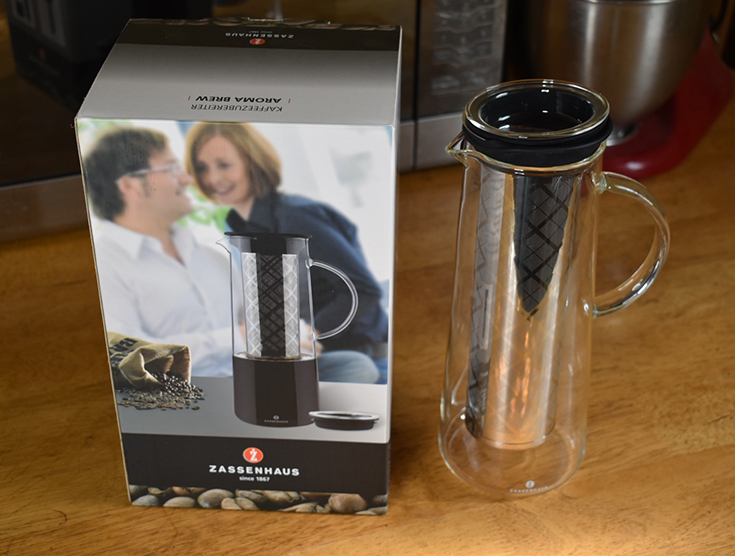 With the Zassenhaus Aroma Brew Coffee Maker, you can prepare and serve your coffee in the same jug! All you need is some grounded coffee beans and some HOT or COLD water. 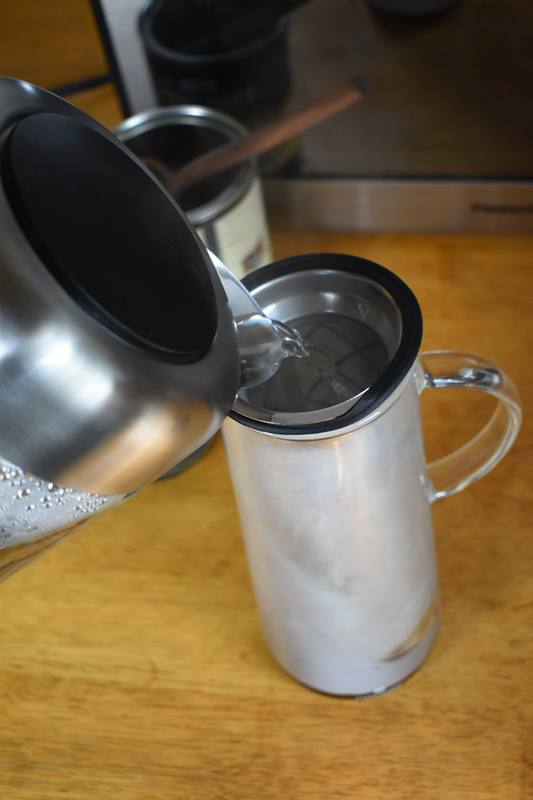 I like to use HOT water so I use my electric water kettle to heat up my water first, then pour the hot water over the grounded coffee beans in the filter and let it infuse. How long you allow the coffee to brew is totally up to you! The longer you let it infuse the stronger taste your coffee will have. 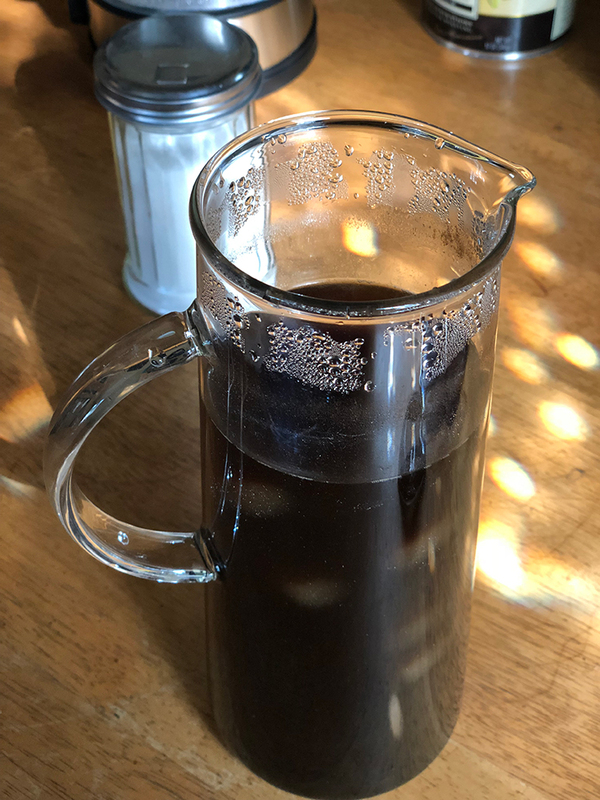 Once it is to your liking you can remove the filter and you will have your coffee ready to pour in a beautiful glass carafe. 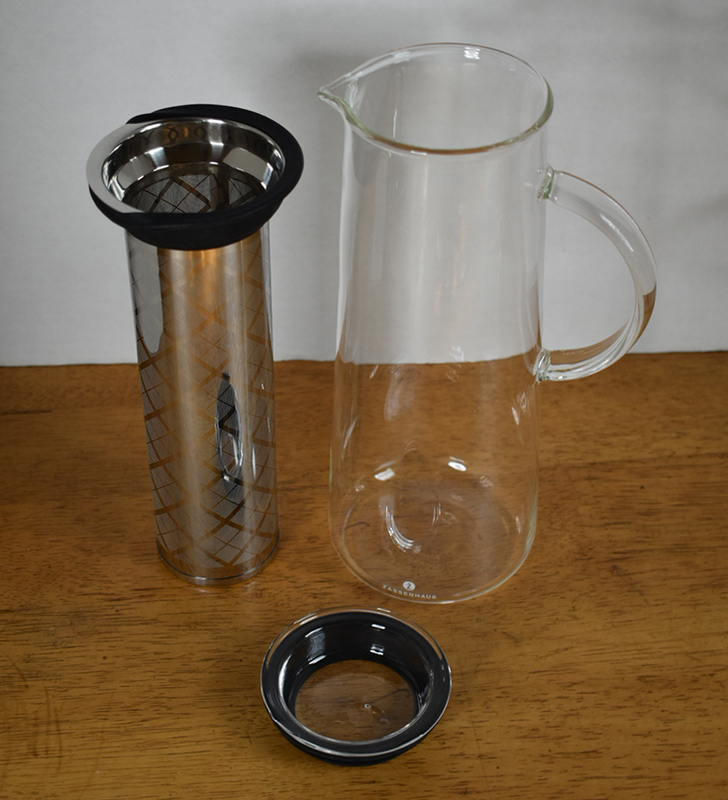 It also comes with a glass lid with silicone gasket that helps prevent your coffee from spilling over. You can make up to 8 cups of coffee (34oz) with the Zassenhaus Aroma Brew Coffee Maker. This is a great idea for those that love their coffee but don’t have a whole lot of space in their kitchen for a big coffee maker.